The Battlestar Galactica movie was first announced back in 2016 by Universal, with Red Sparrow director Francis Lawrence at the helm. However, not much has been talked about since the day that it was announced. The Battlestar Galactica movie was rumored to be based on the original 1978 television series created by Glen A. Larson and in a new interview, Lawrence reveals that he's still working on the project and intends for it to be a mix of the original 1978 series and the later reboot in 2003. Francis Lawrence revealed that he is still working on the Battlestar Galactica movie along with Westworld co-creator Lisa Joy. The original TV series holds a special place in Lawrence's heart, stating that was the first entertainment set that he had ever been on where he got to try on a Cylon helmet. Francis Lawrence intends to take some of that nostalgia and mix it into the big screen adaptation. He had this to say. "I'm working on that, that's something I'm developing. I'm working on that with Lisa Joy, who is one of the creators of Westworld. The original series was actually one of the first sets that I ever went on. I remember being a kid and loving that show and they were filming near my house and my mom took me down there and I got to try on a Cylon helmet... There will definitely be visual nods. We're all fans of both series so there will definitely be nods, but for it to be worth doing for us we have to have our own take on it." While still highly regarded in some circles, the original Battlestar Galactica TV show wasn't much more than a Star Wars rip off. The first series was followed 2 years later by Galactica in 1980 and then followed with a bunch of book adaptations. It wasn't until 2003 that Battlestar Galactica returned to TV with a two-part, three-hour miniseries, which spawned a new show that ran until 2009. A prequel series, Caprica premiered in 2010 and was later cancelled the same year, with the SyFy Network running a marathon in 2011 to show off the rest of the episodes that never originally aired. All of the projects, including the web series, Battlestar Galactica: Blood and Chrome, all took from the original 1978 source material and turned it into a more mature storyline that brought the franchise more credibility. A movie was the best idea in the early 2000s when the new show was hot and popular, but it's questionable if now is the time to completely reboot the series, since it's only been 8 years since Caprica. 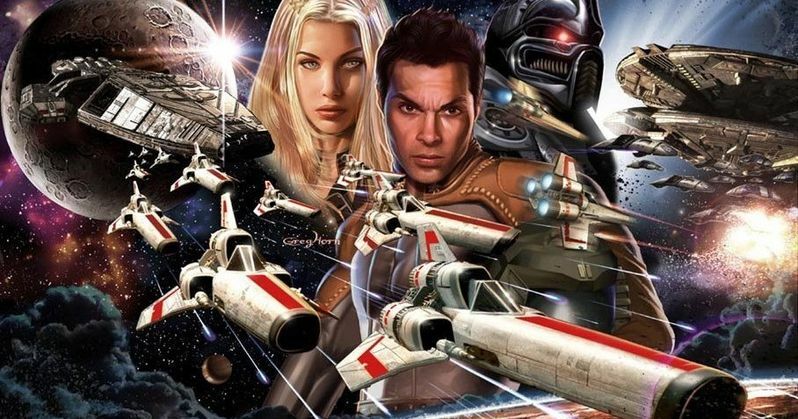 Whatever the case may be, Francis Lawrence is looking to blend the original Battlestar Galactica with some of the later iterations, which is an interesting prospect for fans. Francis Lawrence is out promoting Red Sparrow at the moment, which opens up next week in theaters. Lawrence did not reveal any other details about the Battlestar Galactica movie besides letting everybody know that it is still in development, so hopefully it ends up going into the pre-production stage soon. You can read the rest of the Francis Lawrence interview about Red Sparrow and Battlestar Galactica at ComingSoon.